Click the button below to submit your case. 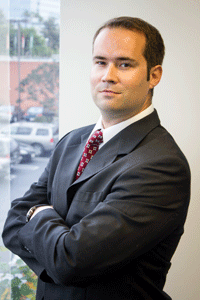 William Jason Jackson is an associate attorney at Cummings & Franck, P.C.. He attended Rutgers Law School where he worked in the Employment Law Clinic and graduated from Rutgers Law School in 2005. After graduating he practiced in New York City at many large firms before moving to Los Angeles to join Cummings & Franck, P.C.. He is a member of the New York and California State Bars. Prior to law school Mr. Jackson attended and graduated from the University of Utah. While at the University of Utah Mr. Jackson served an internship for the Supreme Court of the United States through the Hinckley Institute of Politics, was elected to the Student Senate, became a member of the Gold Key National Honor Society, was given the Dean’s Award for Academic Excellence, and was a member of the University Honors Program. Throughout college Mr. Jackson also worked for the Utah State Attorney General’s Office.